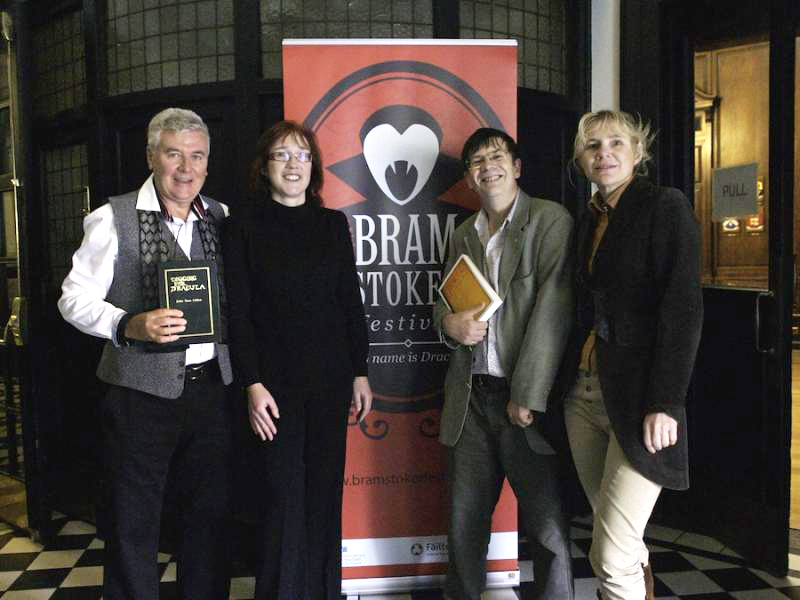 ( l to r) Sean with Vanessa O’Loughlin, organiser of Dublin’s annual Bram Stoker Festival, and guests. 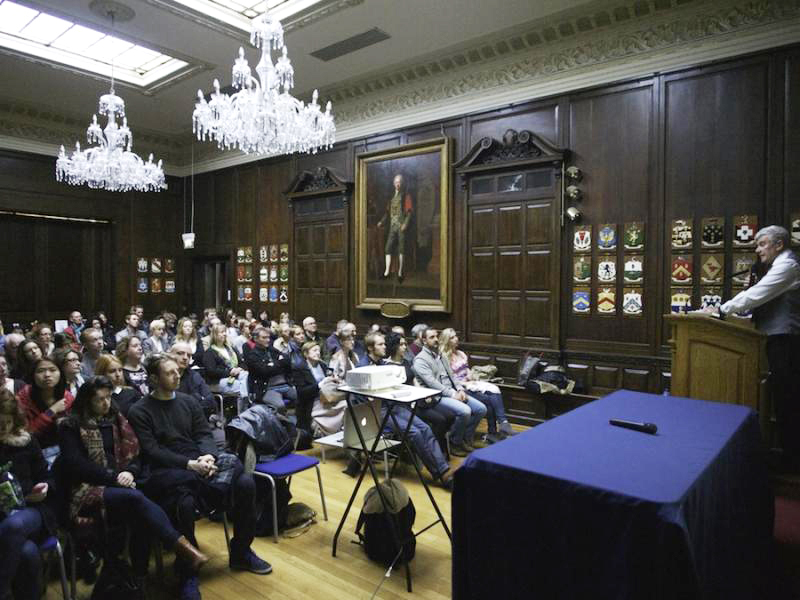 Deputy Lord Mayor of Dublin congratulates Sean at the downtown Waterstone’s Bookstore on his search to uncover the origins of the vampire stories. No vampires in sight – smiles all round. Ready to go on air – inside the studios of the BBC. Vampire lovers wait in line to have Sean sign copies of ‘Digging for Dracula’ at the annual Féile an Phobail, the Community’s Festival in west Belfast (though not in his own blood).